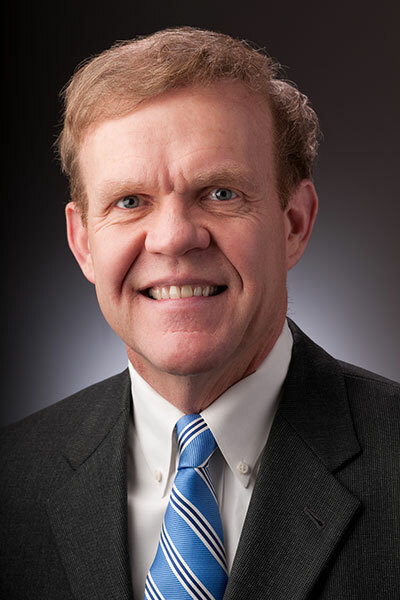 Robert J. Bjerg has more than 30 years of civil trial experience, with an emphasis in commercial and business litigation, corporate and employment disputes. He has successfully tried numerous jury and bench trials and arbitration proceedings across the country. Bob is authorized to practice law in all courts in Kansas and Missouri, and he is admitted to the United States Courts of Appeal for the Tenth and Eighth Circuits as well as the United States Supreme Court. He is also a certified mediator. Mr. Bjerg graduated with distinction from the University of Iowa College of Law. He is AV rated in Martindale-Hubbell. For the past two years, Bob has been selected by his peers as “Best of the Bar” in commercial litigation. He is a past president of the Johnson County Bar Foundation and he is involved with several civic and charitable organizations in the Kansas City metropolitan area. Bob was the 2009 recipient of the Earl E. O’Connor Civility Award by the Johnson County Bar Association. Bob is currently the board chairman for Sunflower House, a child abuse advocacy center for Johnson and Wyandotte Counties. Mr. Bjerg may be reached by e-mail at [email protected], or by phone at 913.345.2555.